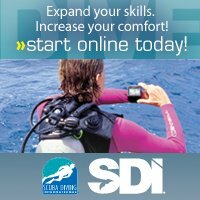 Our Nitrox Diver course is easy to start and finish! Its most of it is online. Once you complete with the 2-3 hour video based course, you'll make an appointment at our store in Garland for about 30 minutes where an instructor and you will review what you have learned and show us how to use a nitrox analyzer. Once you're done. If you've uploaded a photo to your profile we can print a certification card for you right away or you can use your digital card as proof of completion. There are no set dates for our nitrox course, you start it anytime!